Have you ever wanted to watch a movie and feel like you’re in a professional movie theater? Well, this article proves that you can do it in your own home! Select and obtain a movie. Buy or rent the DVD if you don’t already own it. Think about anyone who will be watching the movie with you, and try to choose something that they will also like. Prepare some finger food. Popcorn is traditional movie food, but if you’re watching at home, you can choose whatever you’d like. You can have a cup of tea/coffee or a glass of soft drink. You don’t have to eat junk food to watch a movie. If you’d like to munch on baby carrots or shrimp cocktail, go right ahead. Set aside the time to watch the whole film. Don’t start a three-hour movie one hour before you plan to turn in, and make sure nobody else is going to demand a turn at the TV. Turn down the lights (if you have dimmer switches) or just turn them off, when the movie starts. Put on some suitable music – if it’s a romantic night put soothing romantic music on before you start the movie. Don’t fall asleep during the movie! 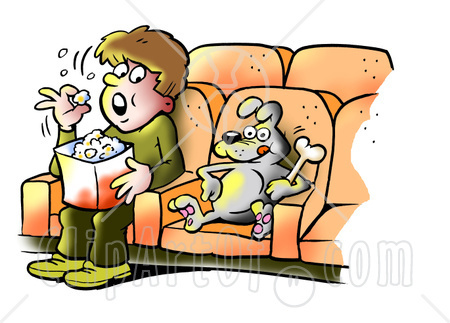 Stop talking during the movie, then you’ll know whats going on! u also need high speed internet to download em!